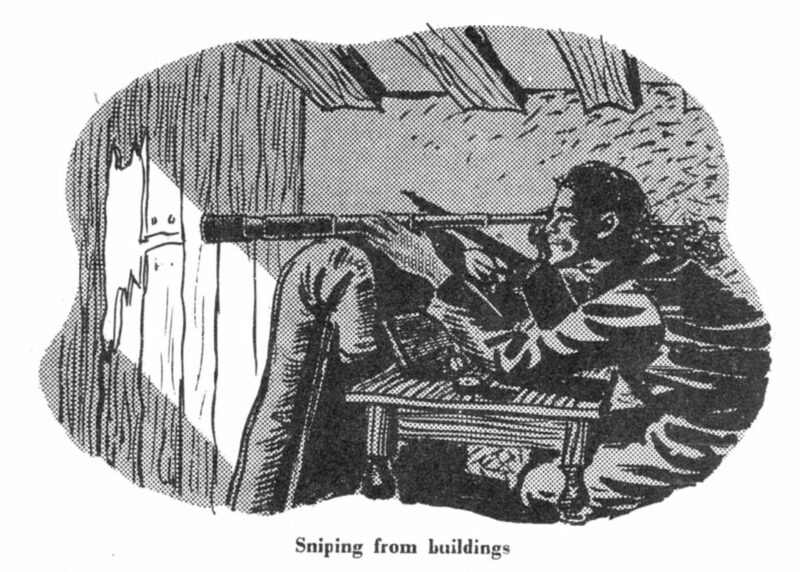 Most snipers now operate in teams, with one as the shooter and one as the observer. The telescope on the rifle is fine for the shooter putting the bullets onto the target, but finding the target can require higher power magnifications, especially when great distances and camouflage are involved. Binoculars can be used to supplement the rifle scope for searching for targets but it was found that telescopes are better. These are high power telescopes that were either handheld, or more usually, mounted on a small tripod. They were usually 20 power (20X) or greater. Optical clarity, avoidance of fogging, weather resistance and weight are all factors in their selection. Telescopes were used by other Army personnel such as Artillery Observers, Signallers and by Naval personnel. Some models were unique to sniper and others were more generic. Scout Regiment Telescope MK. IIS – This was the standard British sniping observer’s telescope throughout WWII and into the 1990s. Telescope, Observing, Sniper’s C MK. I (aka TOS C MK.I) – This was developed by R.E.L. in Canada to replace the Scout Regiment Telescope. Leupold commercial spotting scope – Canadian Army issue in Afghanistan. U.S. M49 Observation Telescope – These seem to have been used from WWII at least through to Vietnam. Periscope – The Soviets used periscopes a lot in WWII. Their sniping was often in city rubble, so being able to observe without exposing oneself was crucial.